Are you a student? Not at UBC? Check Western Canadian Deans’ Agreement! Are you an adult or a senior citizen? Join us through UBC Access Studies! We hope you will join us in 2018/19! 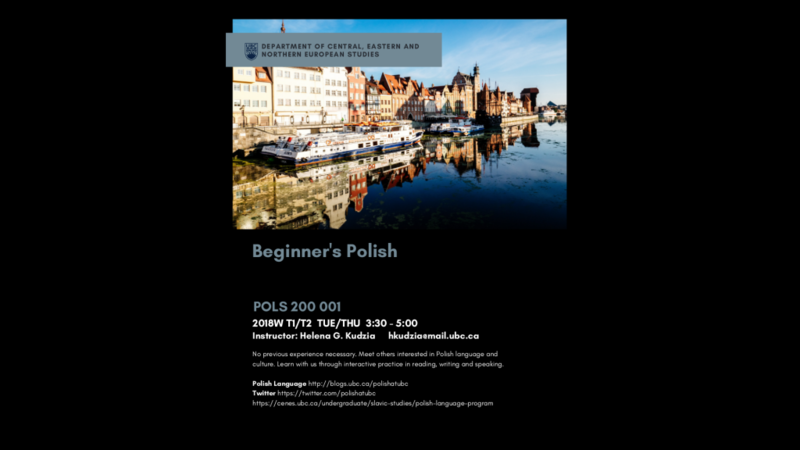 POLS 200 (Beginner’s Polish) confirmed for 2016 / 2017! Posted on July 28, 2016 Categories courses, Polish Language Program, UBC VancouverTags POLS 200Leave a comment on POLS 200 (Beginner’s Polish) confirmed for 2016 / 2017! Witnessing Auschwitz is still accepting applications for 2016 program. Auschwitz was a place in which several frequently conflicting agendas of the Nazi Germany intersected: it was an industrial compound, a concentration camp, a medical research site, and an extermination facility; it served to imprison, terrorize, enslave, and kill. Moreover, Auschwitz is a site of conflicted memories that raises the question how, and if at all, it can be remembered and commemorated in ways that resist both sentimentalization and the recourse to conventional literary or cinematographic imagery. In fact, one of the most pressing issues of the Holocaust studies is the question: how to educate about Nazi crimes when there are no more survivors to share their stories. 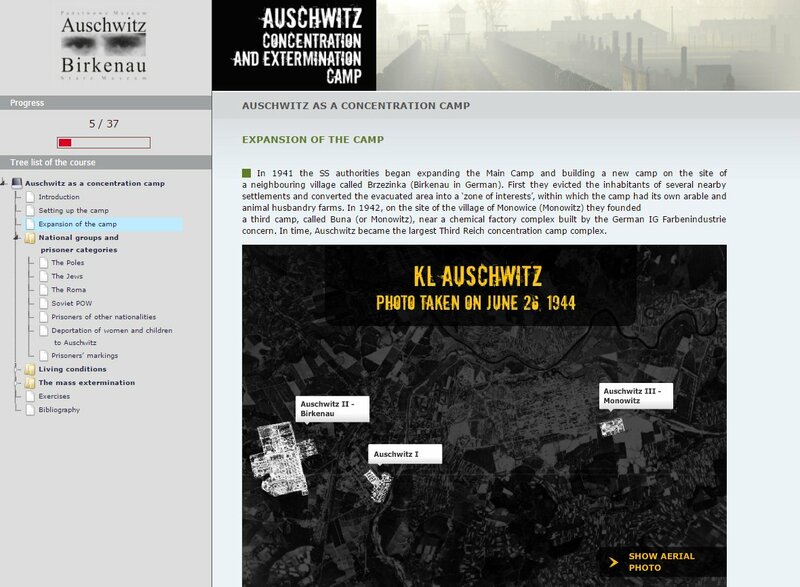 This program takes a multi-disciplinary approach and will give you the chance to take part in lectures, seminars and workshops in Poland, where you will have direct access to historical archives, museums, and leading experts in all relevant disciplines related to the Holocaust studies.You will conduct independent studies at sites of mass extermination, as well as research issues related to the Holocaust in the context of social responsibilities of researchers and professionals. 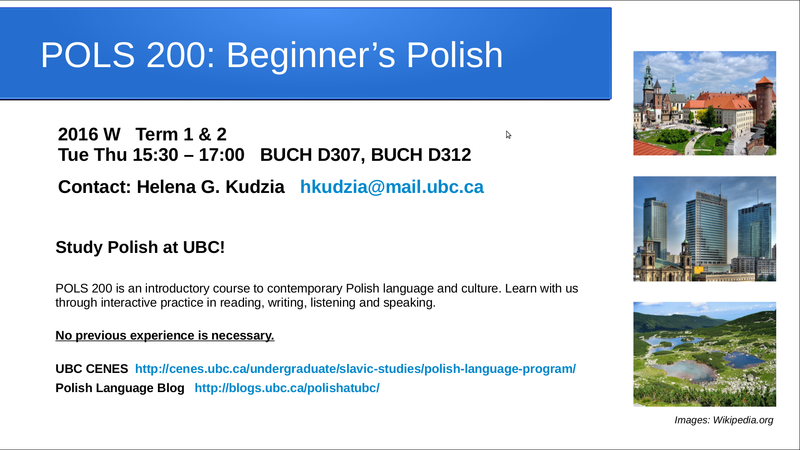 If you have previous knowledge of Polish and did not take POLS 200 at UBC please contact Helena at hkudzia@mail.ubc.ca – you still might be able to take the class in September! The Nazi Holocaust in film and literature from Central, Eastern, and Northern European Countries.